This Old Fashioned Pie Bird is a great way to vent your pies while adding a touch of charm. It also comes with Susan's tried and true pie crust recipe. 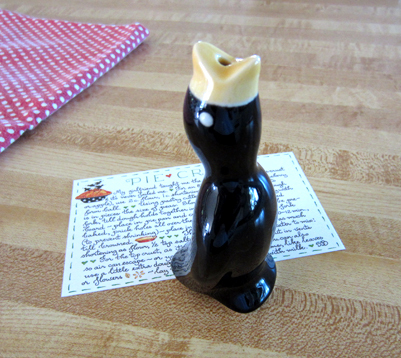 Pie bird stands 3.5" tall and is dishwasher safe. Place the bird in the center of any pie during baking, it is designed to release steam and avoid drips. Recipe card is 3" x 5".